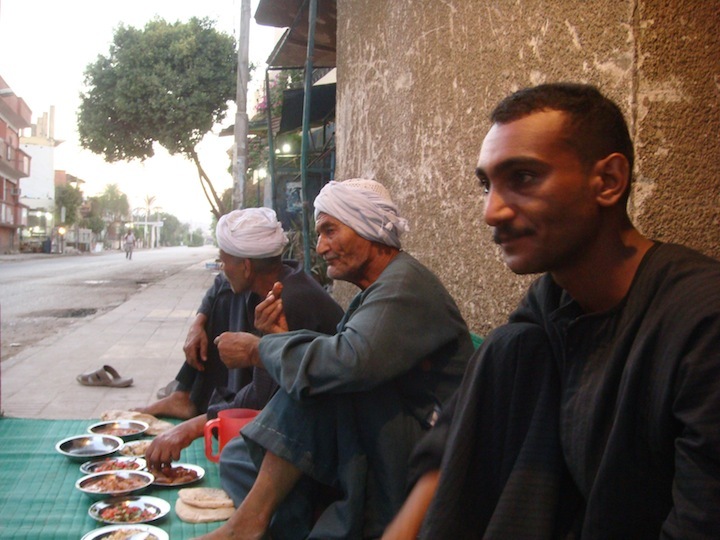 I was invited by Tarek my landlord to the first meal of Ramadan which they call Breakfast although it was at sunset. It was truly a lovely meal. 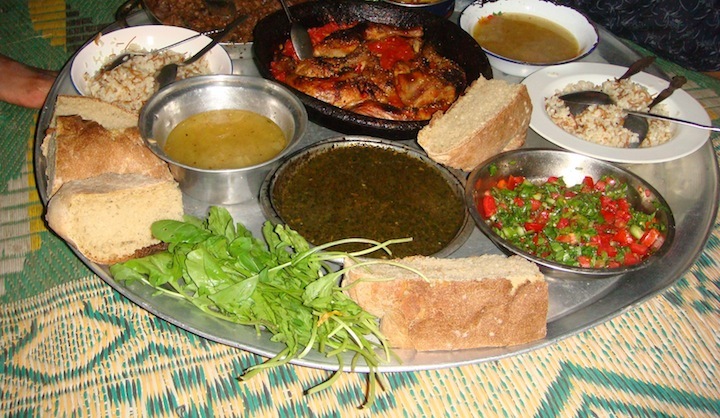 Tarek’s wife Aya is a very good cook. She gave me a sweet to take home with me. It was a kind of treacle-shredded wheat. 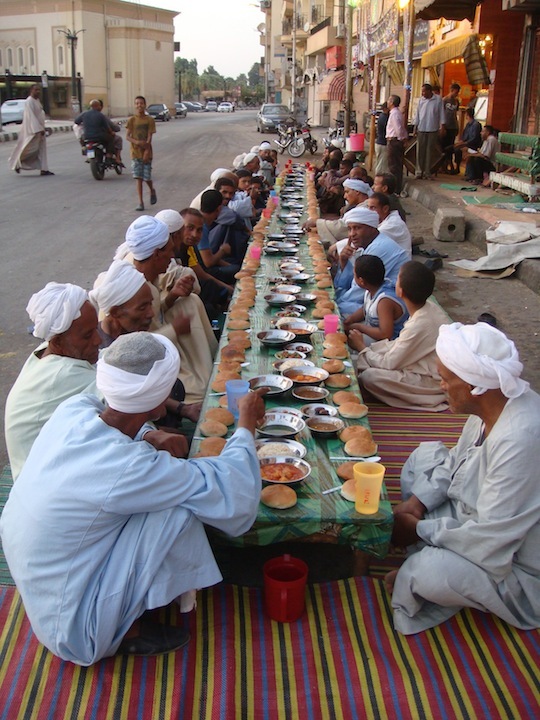 I had an invite to a meal in Luxor, however, I was stood up at the arranged meeting point so I made my way to the Bakers opposite the Mosque near to Railway Street and there I was kindly invited to join their Ramadan meal. It must have been the longest table sitting I have ever seen. All the people being very kind and friendly in making room for me to sit amongst them. Such lovely people. This evening as I did last year, I made my way down to my local village Gazira to take some pictures. 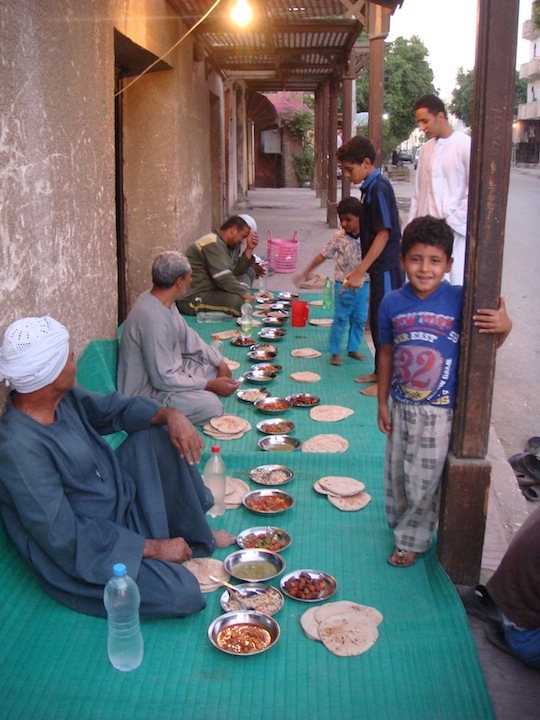 I had my Ramadan meal with the same family and people as last year; it was so nice to see them again. 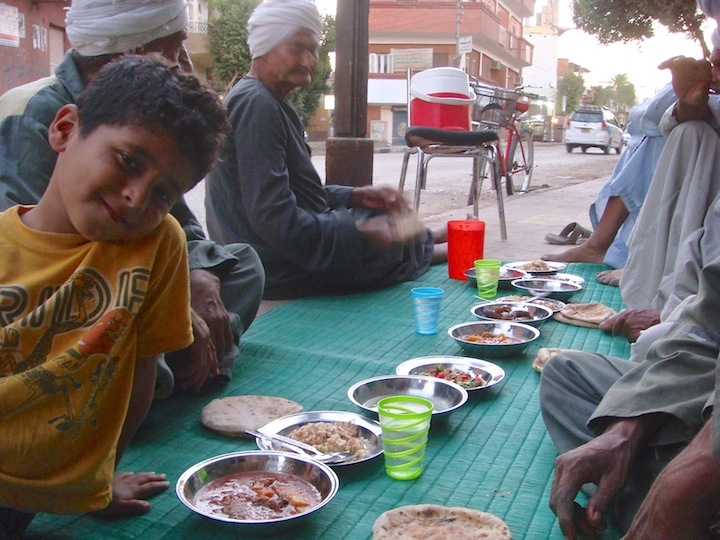 Little Mohamed was they’re again looking after all the people who came for the meal. 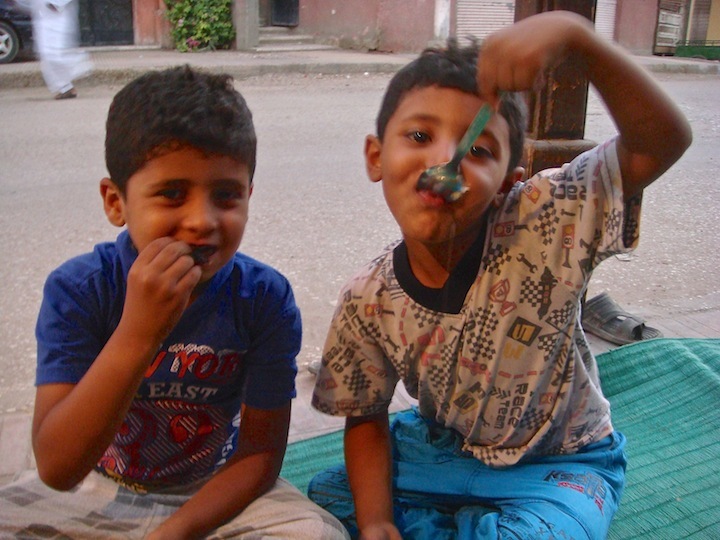 I took the pictures and arranged to meet them and Mohamed’s brother again tomorrow so as to put my pictures on a memory stick for him. Mohamed in the centre. 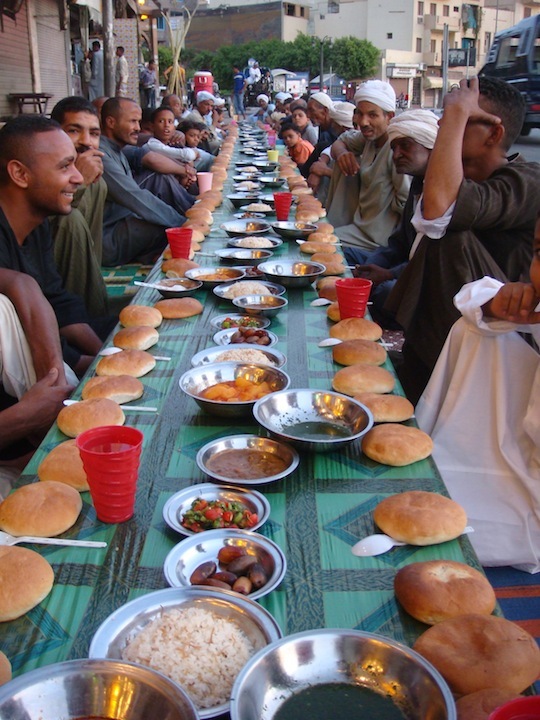 Every year Mohamed looks after everyone and makes sure they all have plenty. 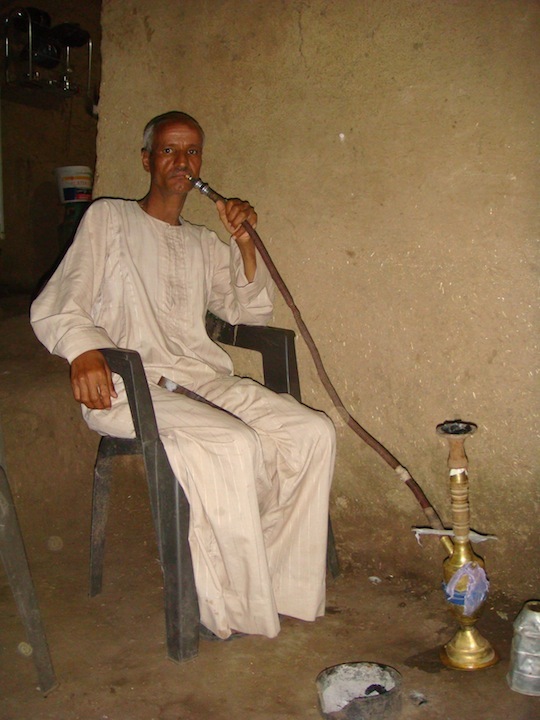 Mohamed's mother provides the meal each evening. 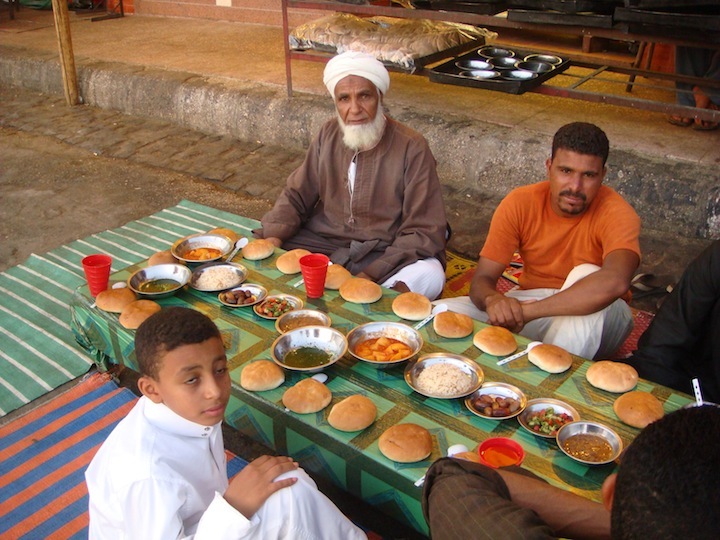 Another great meal with the locals of Gazira. Gazira is so quiet this time. My two regular table guests. 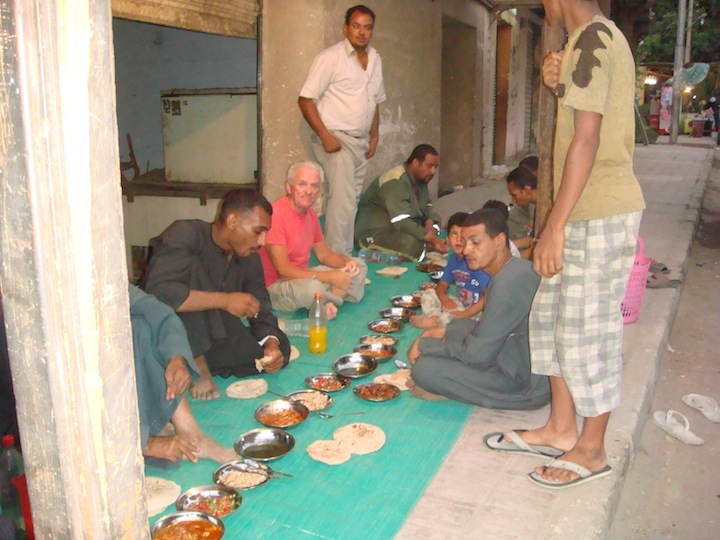 Invited for a Ramadan meal with friends in Roska village. Again, lovely food and hosts. 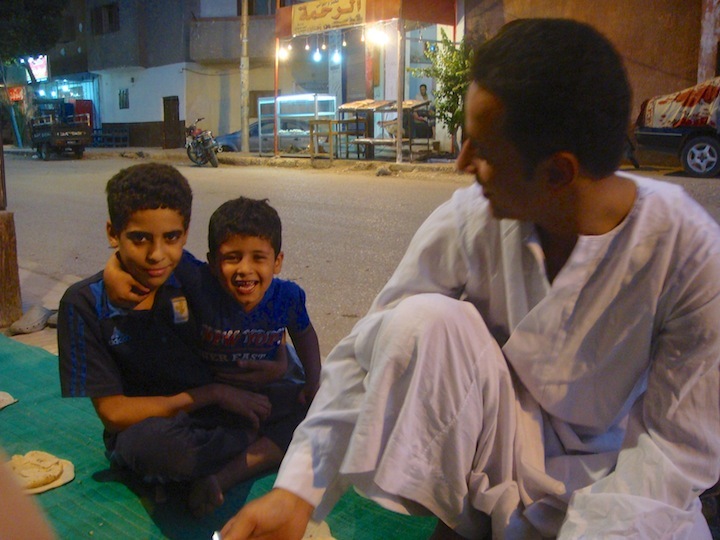 Another extremely lovely evening in Luxor. 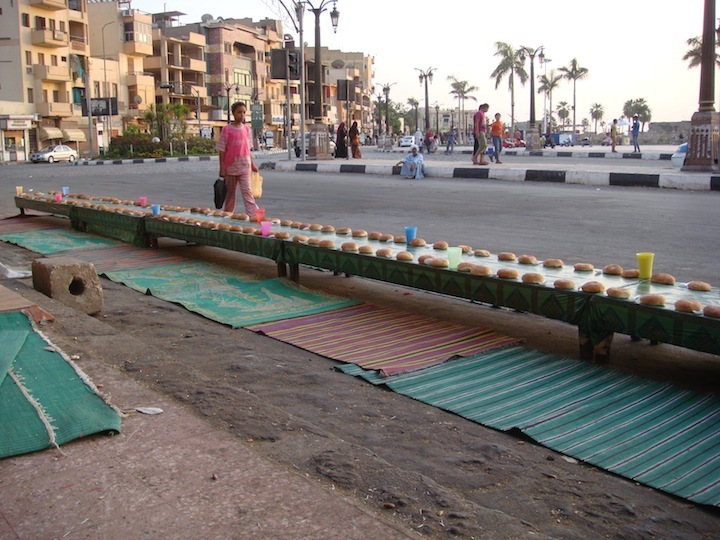 The length of the table sat more than 60 people. I sat opposite an elderly gentleman that I had met the last time and he beckoned me to sit with him. 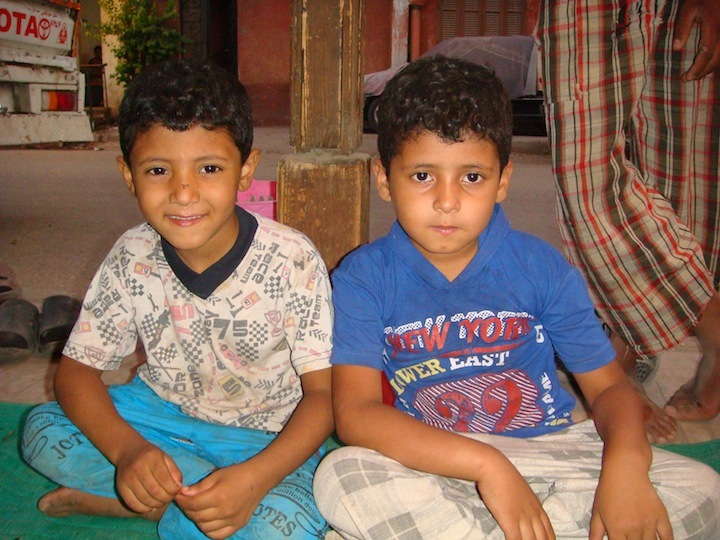 He and Hamdy made me most welcome. 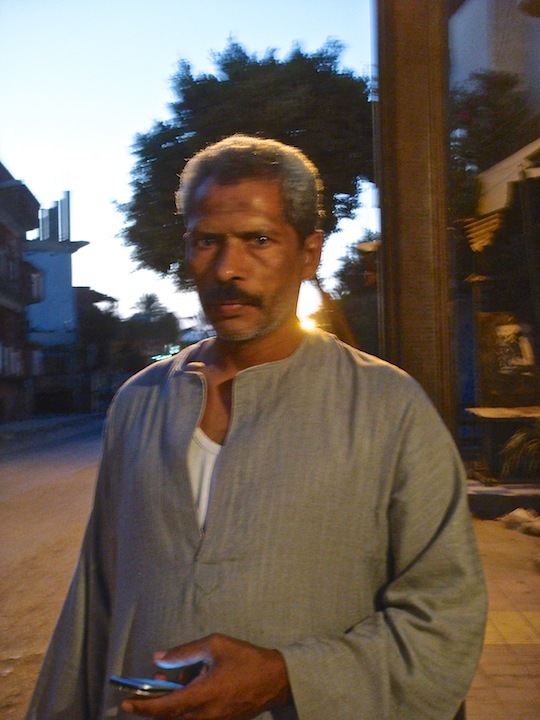 Hamdy who organizes the meal had asked me to come back. So I did and I had a very nice evening. 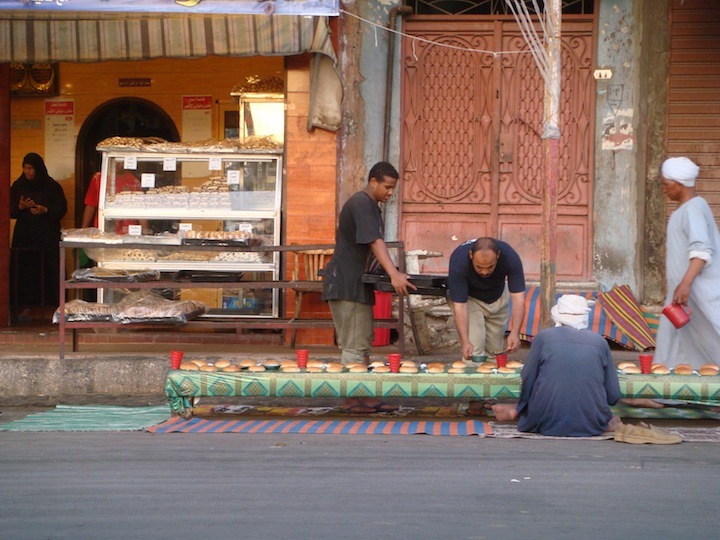 We all sat there waiting until there was a call from the Mosque, then we started the meal. This is truly a lovely man. 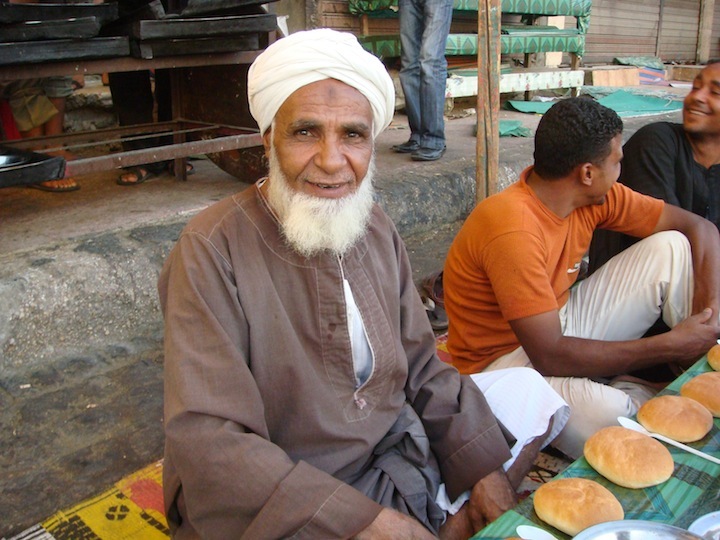 I met him on my first meal here and on this occasion he beckoned me to sit near him. 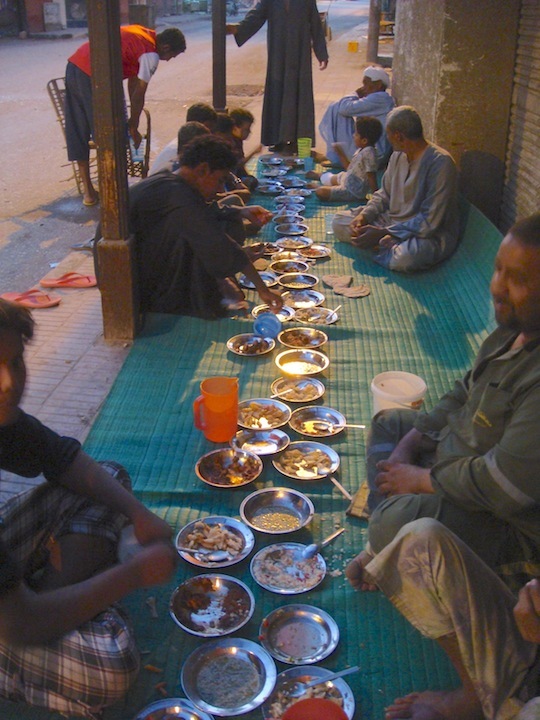 Had a Ramadan meal this evening with a friend and his family at Kom village. I am a regular visitor to their house and they always look after me with their warm hospitality. I took photos of the family to give them copies later. 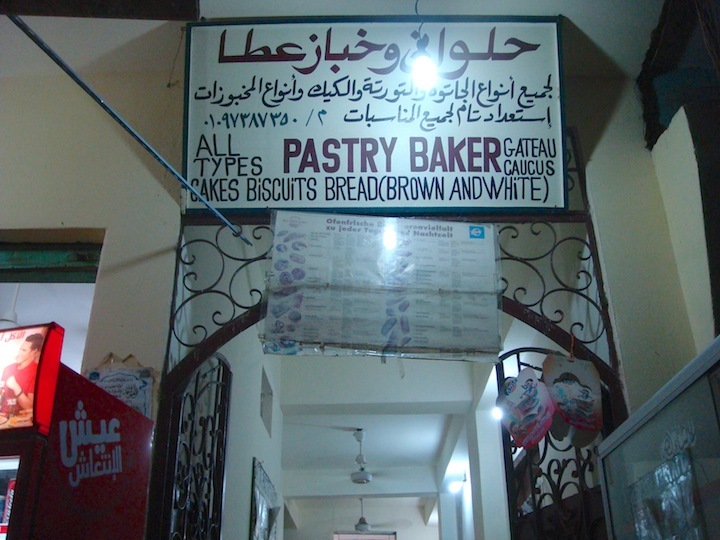 I went to see my friend Atta at his bakery to do some shopping. 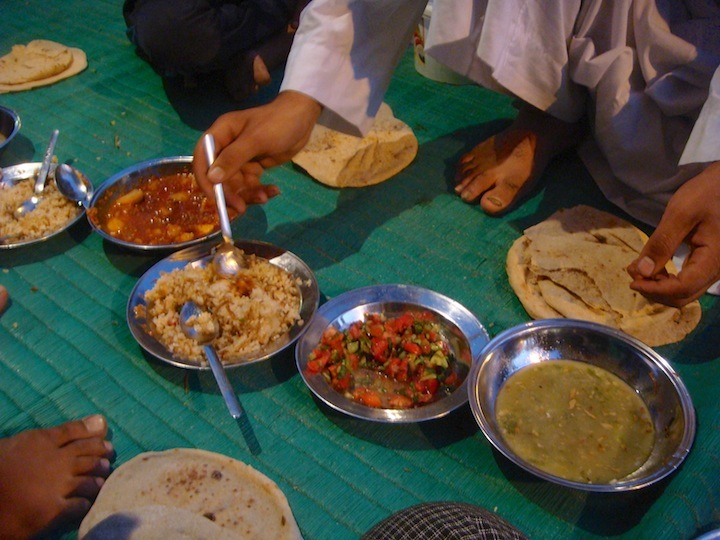 Atta was kind enough to offer me a Ramadan meal, which I enjoyed immensely. 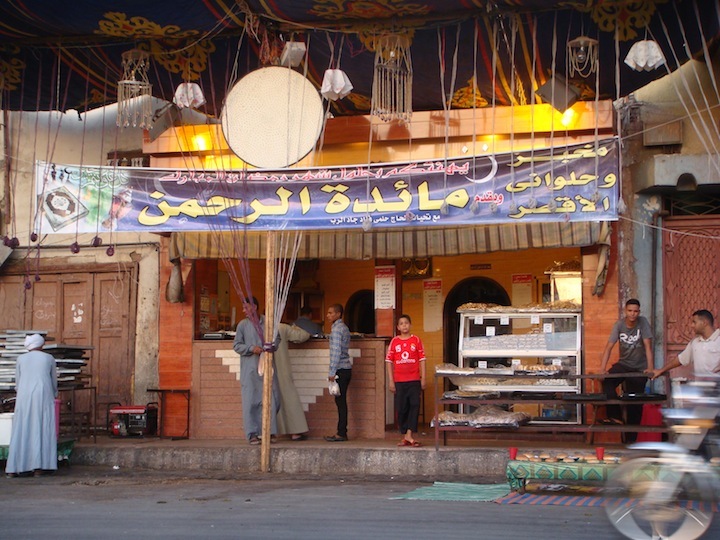 You can find Atta’s Bakery by the Arabian horse stables in Gazira. 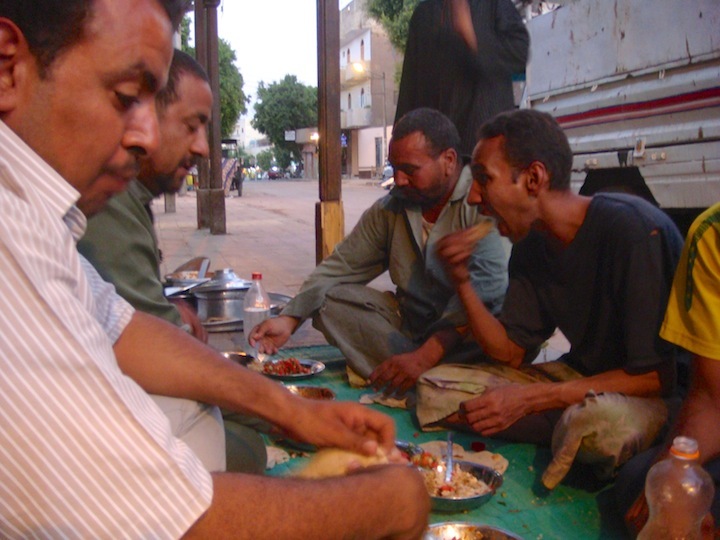 Another lovely Ramadan Breakfast with the locals of Gazira. These men ask me to take pictures as they know I will bring them printed copies the next day. I sat with these man last year. My third visit to change the boys leg dressing. He was very brave and again he insisted on removing it himself. There were a few tears when it came to the last piece which again had stuck a little. The father got some cooking oil to help remove it. 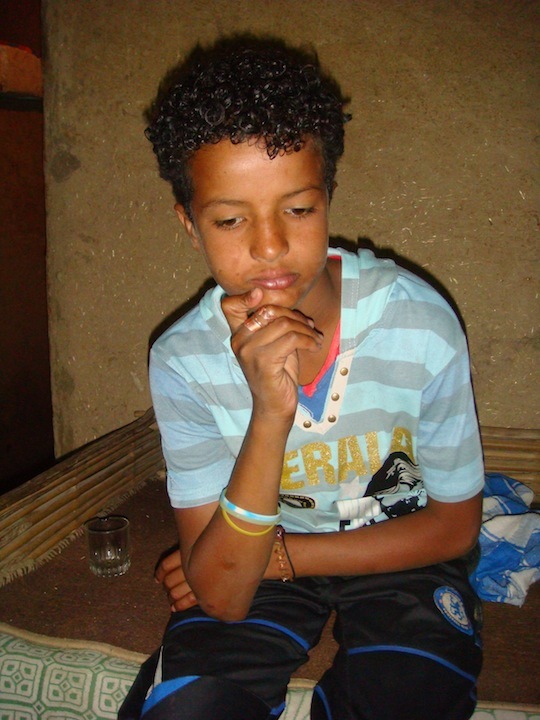 His father said to me through a translator that it makes him ill to see his son like this. I told him that I have a special dressing, different from the last one and it should not tick. He told me that his sons leg hurts, I told him it will do for a short while due to the bruising around the knee and that each day it would get better. The boy walks ok and better than the last time I saw him, he walks with just a small limp now. He is a happy boy. I am very happy with the healing process and will change the dressing again in three days time; Saturday. 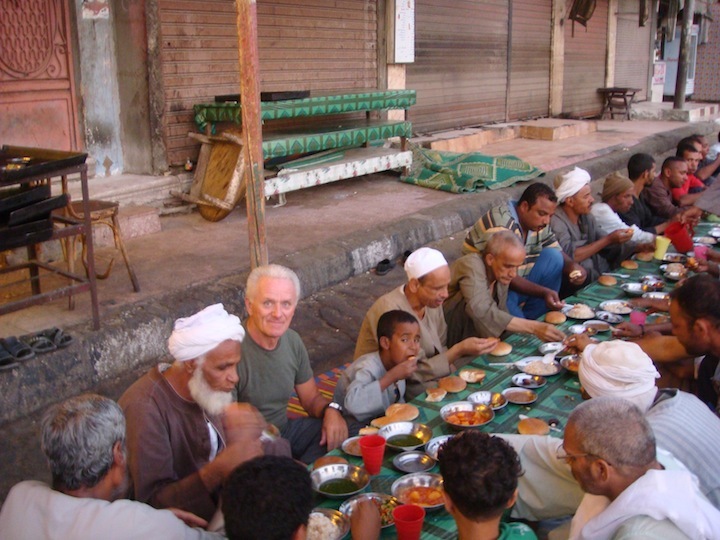 Before caring for the boys leg, I sat with the locals for yet another Ramadan Breakfast.